"Rig your Own" Spreader bar. Our stainless spreader bars troll great and won't break the bank! Available in 32 and 36'' sizes. Sturdy plastic block in the center including 2 crimps for your main line. 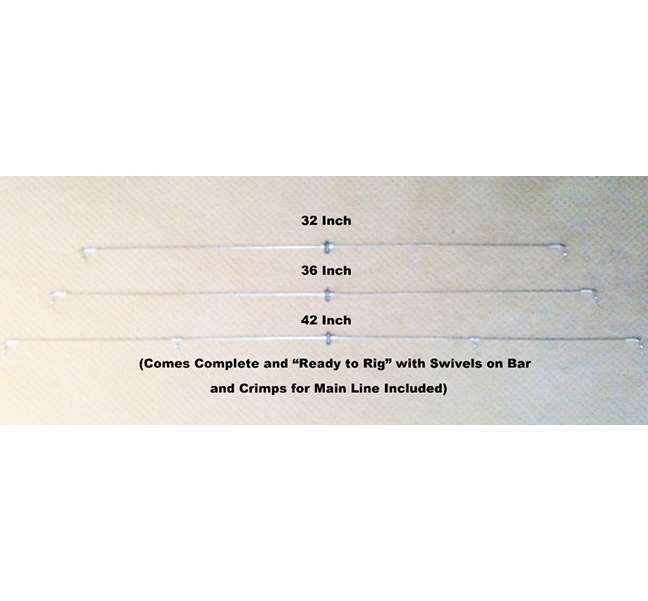 Swivels on each end of the bar for you to rig your teaser runs. You will like the way this bar performs in your spread. Check out our wide assortment of 6" and 9" Squid Shells for you "Do it Yourself" anglers. Great inshore or offshore bar. 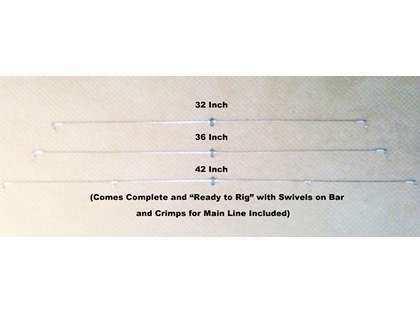 Check out our rigged and ready spreader bars as well. You won't be disappointed.